Many homeowners immediately contact their insurance companies as soon as a tree falls on the house during or after a storm. Green Bay Press Gazette states 3 reasons trees fall during storms in a blog post. It could be a case of a weak branch union, decayed wood, or root problems. Among the many benefits of homeowners' insurance policies, insurers can help policyholders in removing trees from their properties. 1 When Will Home Insurance Cover Tree Removal? 2 How Do Insurance Companies Look At Tree Ownership? 3 How Much Will Homeowners Insurance With Tree Damage Claims Cost? 4 Are There Caveats To Tree Removal Claims In Homeowners Insurance Policies? 5 When To File A Claim For Tree Removal? When Will Home Insurance Cover Tree Removal? As with any insurance policy, there are some required conditions before insurers can help policyholders regarding tree removal. First, the fallen tree should result from certain natural calamities like a storm. If a tree falls because of manmade intervention like when a neighbor cuts his tree and falls to your yard, then the insurance company will most likely not provide monetary help to the policyholder. 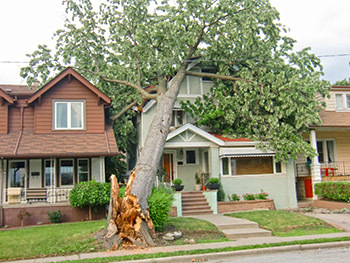 If a storm blows a tree to a home or property, home insurance firms should provide coverage for the removal costs. Insurers may also approve claims for damage done to equipment, establishments, or other items owned by the household. However, if a storm blows a tree to a yard without damaging or destroying anything, insurance companies won’t provide monetary help for the removal. If the causes of the fallen tree were fires, explosions, lightning storms, riots, vandalism, theft, or vehicles not owned by the property owner, then insurers can cover for the tree removal. Aside from these reasons, homeowners insurance companies won’t cover the removal costs if the tree falls down because of natural reasons like age and rot. Also, insurers won’t provide coverage for certain events. Some incidents considered include flood and earthquake. There are earthquake and flood insurance policies that aren’t covered by standard home insurance plans. Here’s a quick rundown of when an insurance company can provide coverage for tree removals. 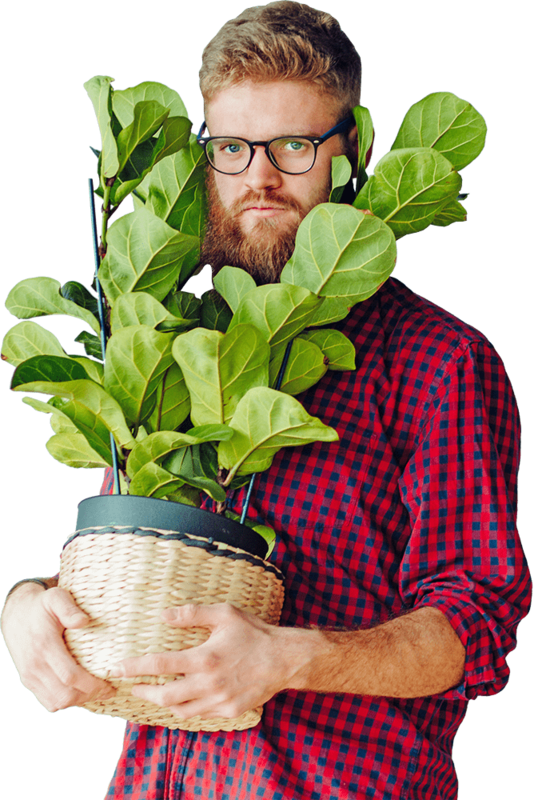 How Do Insurance Companies Look At Tree Ownership? If the tree falls because of a storm, then the ownership of the tree falls into question if it’s yours or not. Insurers will also question if there’s property maintenance done to the tree. Most homeowners policies will require policyholders to keep their trees in their properties pruned before qualifying for coverage. What if a neighbor’s tree falls on another property? Then the insurance company of the property owner will try to work out a settlement with the other insurer. This procedure is known as subrogation in the insurance industry. Once successful, the deductible will be waived or even refunded. Establishments and structures found in a property like sheds and garages are also covered, if they’re listed in the policy. Most insurance companies treat storm damage as universal. Most insurers won’t ask where the tree came from if there’s clear evidence of meteorological events like hurricanes, windstorms, and tornadoes. In these events, gaining coverage for tree removal after storm becomes a definite possibility even if the tree comes from a neighbor’s lawn. How Much Will Homeowners Insurance With Tree Damage Claims Cost? Many insurance firms see tornadoes, windstorms, and winter storms to be the largest reasons for policyholders to file claims for tree removals. According to a Nationwide report, tree debris or trees with wind damage create most tornado-related damage to homes and automobiles as opposed to just direct hits. The study also found out that the average home insurance claims for tornado damage are somewhere around $24,000. The Insurance Information Institute (III) also posted a study wherein they found out that winter wind claims for snow or ice damage average around $4,757. However, insurance firms have a cap or limit to the amount of coverage policyholders can get. That limit is usually set at 5% of the total dwelling coverage. Hence, if the homeowners insurance plan has a dwelling coverage of $300,000, it entitles the policyholder to claim a maximum of $15,000 for debris and tree removal after a storm. Are There Caveats To Tree Removal Claims In Homeowners Insurance Policies? The 5% ceiling for the total coverage for tree removal isn’t the only shortcoming policyholders have to deal with. Most insurers won’t shell out more than $500 per tree. Therefore, if a property has four trees and they all fall down causing damage to items and structures in the area, the insurance firm will only pay a maximum of $2,000 for the removal of those trees. Is $500 good enough for removing trees? Treeremoval.com shows that removing a fallen tree would cost somewhere between $75 and $150. When To File A Claim For Tree Removal? Home insurance policyholders should also be cautious to the deductible. Most homeowners will have deductibles between $750 and $1,000. Hence, it won’t make sense to file for a claim to remove one tree, especially if it did no damage to the home or property. Since the cost of removing one tree is somewhere around $75 to $150, it’s not a cost-effective solution to file for a claim for tree removal for this incident. Just like any insurance claim procedure, insurers offer higher chances of approval if there is clear evidence of damages and destructions caused by fallen trees. Take as many pictures as possible and document any loss. Policyholders, especially those who live in storm-prone areas shouldn't find themselves underinsured or uninsured. Just because a storm didn't hit for a while doesn't mean that property owners should find themselves at a loss when the natural calamity does hit.